Beautiful brand new Britannias in BU Condition. The 1 Ounce silver Britannia coin is produced by the Royal Mint in the United Kingdom. The Britannia series is available in gold and in silver. The front of the coin features an image of Queen Elizabeth II with the face value of the coin. 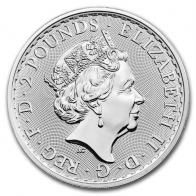 Each 1 ounce silver Britannia coin has a face value of 2 GBP. The reverse of the coin features an image of Lady Britannia, walking with a trident in one hand and a shield in the other. 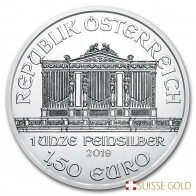 Inscribed are the year of minting, the weight and the fineness of the coin. 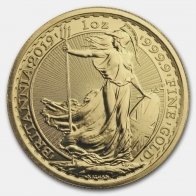 Each silver Britannia coin has a fineness of 999. The Royal Mint produce the Britannia coin series in gold and silver, in addition to the gold sovereign, and the Queen's Beasts series. These coins are popular, particularly amongst British investors looking to invest in silver. The coins are available individually, or in a monster box. The monster box contains 500 x 1 Ounce silver Britannia coins, in 25 tubes of 20 pieces each. 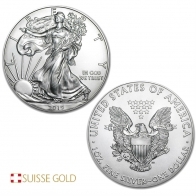 These are popular, particularly with British investors looking to buy silver. The silver Monster box is popular with precious metals investors looking to buy silver coins in larger quantities. To sell silver Britannias, please contact us.